Lately, I've had some fun putting together mood boards that I'll be sharing periodically. 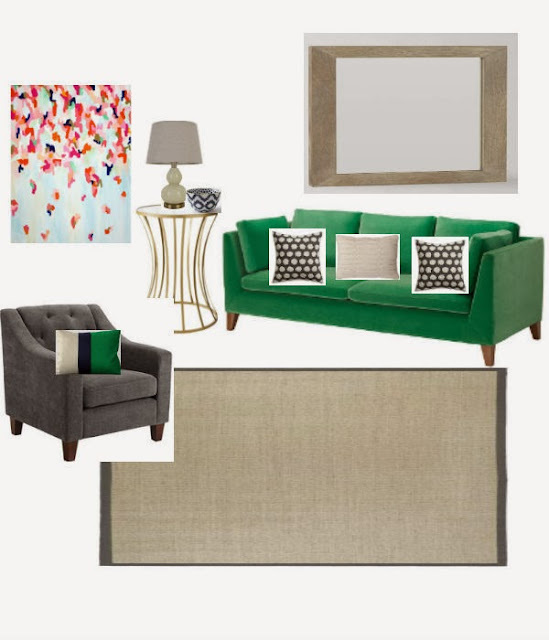 Today, the kelly green living room inspired by the Stockholm sofa from Ikea. I don't think I would ever be bold enough to have that sofa in my house, so it was fun designing a room around a bright, fun piece of furniture. I'm in love with the natural, navy and kelly green color block pillow! Sadly, those colors will not work in my house, but I would love to make a similar one for our living room. I'll have to add that to the project list!